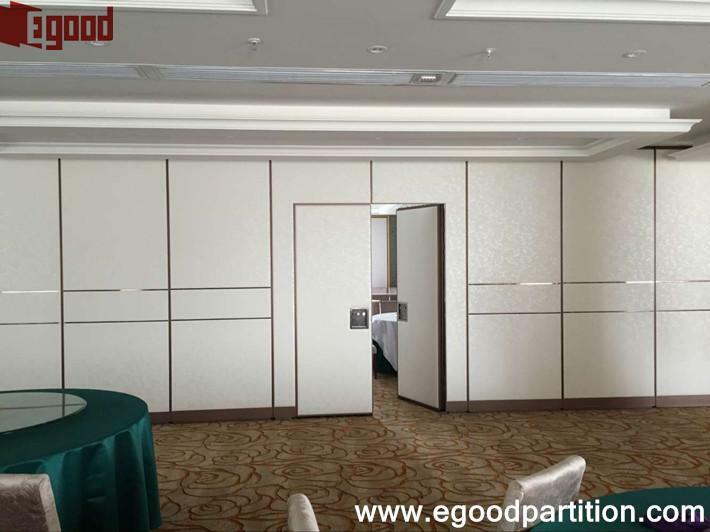 Usually, movable partition system should be same like a wall when it open, it can divided the space into two separate room. How about we want the room circulate ? That’s why we need the pass door system in the partition. 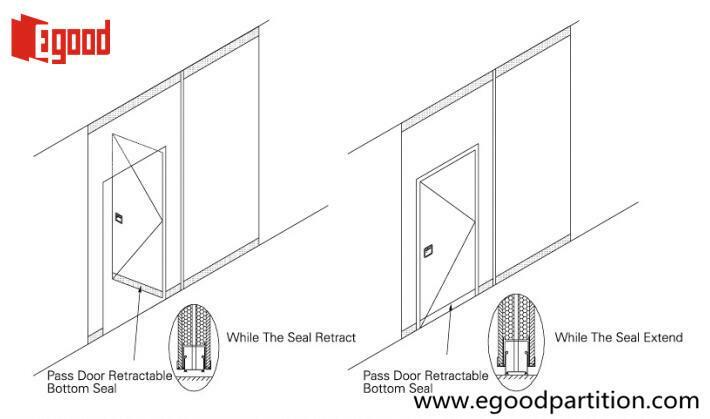 As a core technology, EGOOD company try to make the pass door system to be perfect. 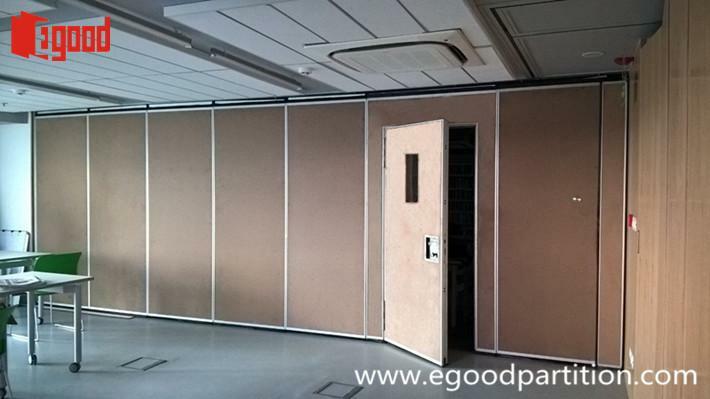 There are two series partition wall system in EGOOD company, L-shape double pass door and U-shape single pass door. 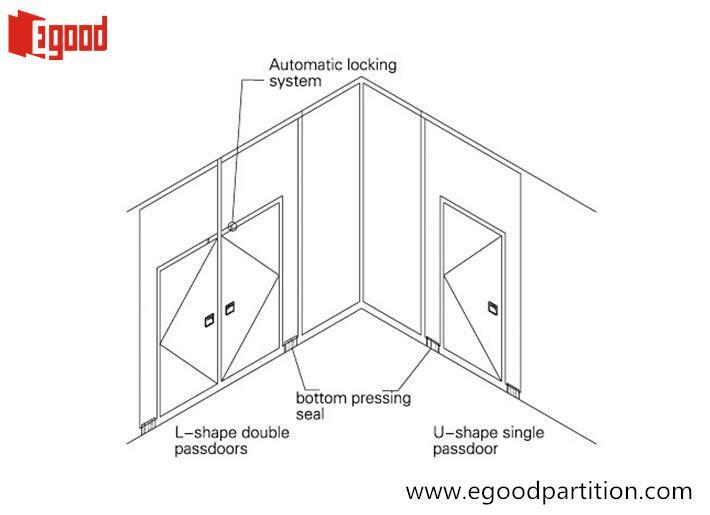 L-shape double pass door was made by two basic partitions and open two pass door, then compose to double pass door. U-shape single pass door, as the name implies, it only have a single door so it was made by one one basic door and open a single pass door. Whole partition pass door panel was made assembled by steel materials to ensure it’s stability. 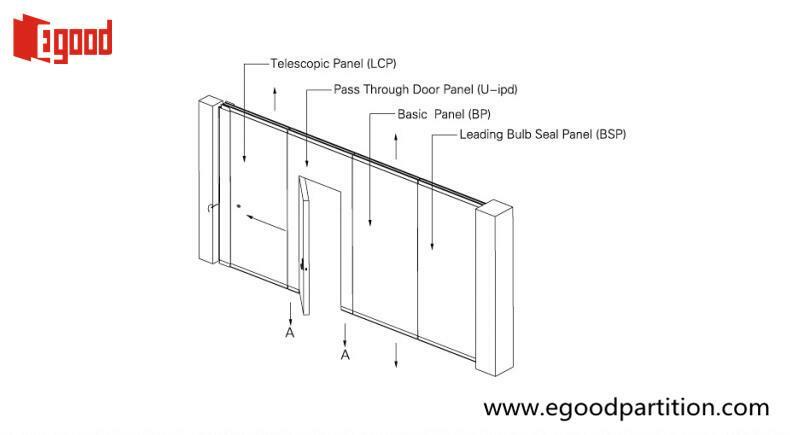 The pass door should be located in the middle or first part of whole partition wall system, it is impossible to build a pass door in the end part, because the last panel we called telescopic panel, there is a telescopic structure inside. To improved the stability and sealability, EGOOD company make some small changes. 1.Panel Structure, except the small pass door, the pass door panel was assembled by steel structure, the whole panel can be very stable, also the panel will be very heavier than others, take care yourselves when you move it. 2.Automatic locking system, some customers who bought our products will know, there is a little bulge things on the top of the small pass door, that is our pass door automatic locking trigger, when the door closed, it locked automatically, our door is not just a hand lock system. 3.Automatic retractable seal system, the same like partition retractable seal system, but automatic. According to the structure of small pass door, it can not build a retractable mechanism system inside, most of our competitors, it is empty at the bottom of small pass door. After long time Research and development, automatic retractable seal system was built. Highly improved the sealability and acoustic level for the pass door.